Gordon Gekko’s famous slogan from the movie Wall Street, came to encapsulate the eurphorea of the economic growth of the 1980’s. 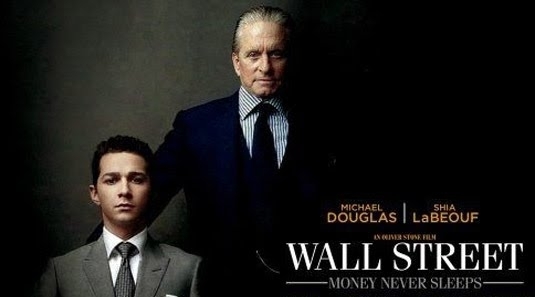 Fast forward to 2010, and his line in Wall Street 2 is ‘Greed is not only good, it is legal’. The growth of investment banks, private equity firms, and the financial industry in general has reached the point where 40% of US GDP comes from banks. It seems that everyone is an investor reaping money of the sweat and toil of the worker. Therefore, it is with interest today, that one of the leading executives of Goldman Sachs today released his resignation letter in the NY Times. Greg Smith outlines the GS culture of milking clients for every penny and selling them ‘dud’ products which they don’t need. Virally, this story has hit a cord. Satire spin-off resignations include Darth Vader from the Empire. While funny, there are similarities. It would be nice if we could dismiss this corporate behavior as just poor leadership at one bad company. However, my experience is that the culture of the corporate world has fundamentally changed. This change only accelerated in response to the global financial crisis. The change of focus from staff/clients to maximum profit pervade the modern enterprise like never before. Most ministers of the gospel are naively ignorant of the degree to which their church members face these culture views in the workplace. I believe churches and church leaders must help inoculate and revive Christian workers who are on the front line in the battle against our greedy culture. The squeeze on the productive worker is harder than ever before. Longer commutes, less family time, less time for church ministry, less time for prayer and Bible reading, greater stress, greater need for two income families, greater cost of living pressures, and greater temptation to go with the greedy flow, mean that the traditional Christian household is about to snap on a large scale. If you think I am overstating the case, then you are not listening to the pressures on the average household. Greed is white-anting our social fabric. But does greed just infect the wealthy Wall Street types? Greed can be a private sin which infests our heart. Those earning $10,000 a year can equally struggle with greed as someone earning $1,000,000 per year. It is easy to barrack for the sharemarket to increase our small retirement fund, but we then bemoan when our jobs are outsourced. Contentment with our finances is sadly lacking for all of us. Yet, the Bible does seem to indicate that greed is particularly a problem for the rich. (e.g. harder for a rich man to enter the kingdom than for a camel to go through the eye of a needle). And let’s face it, a greedy corporation is just a collection of greedy individuals. Greed may now be legal, but it is never moral. As followers of Christ we are called to march to the beat of a different drum. We must start by examining our own hearts to discover the degree to which greed has overtaken us. We must ask for forgivness and repent (change the ways we operate). This may take the form of advocating for companies to operate in more ethical ways. Alternatively, it may change the way we buy or invest (i.e. purchasing fair trade goods or shares in companies which treat their staff and clients well). Do not think that your decisions will be easy. You will likely pay more for your products or get less of a return on your shares, but at the end of the day, the Christian must not be greedy. Only Jesus can cure our greed. We must look to Him for strength because one day we will give an account to Him for our attitudes and actions. I love these two ideas of ‘inoculation’ and ‘revival’ – a wonderful way of describing it. I often struggle with knowing when to challenge the predominant cultural norms with regards to work/money and when to make the way we do things at church easier so as to accommodate those norms. Do you lower the bar because people have to work harder to afford bigger houses etc, or do you challenge them to rethink their values and keep the bar set high? Thankyou for this post and for the way you write so perceptibly and fairly about the interface of Christianity with economics and politics. Greed and materialism is the West’s idol. It needs to be broken down so that God can rule in people’s hearts.